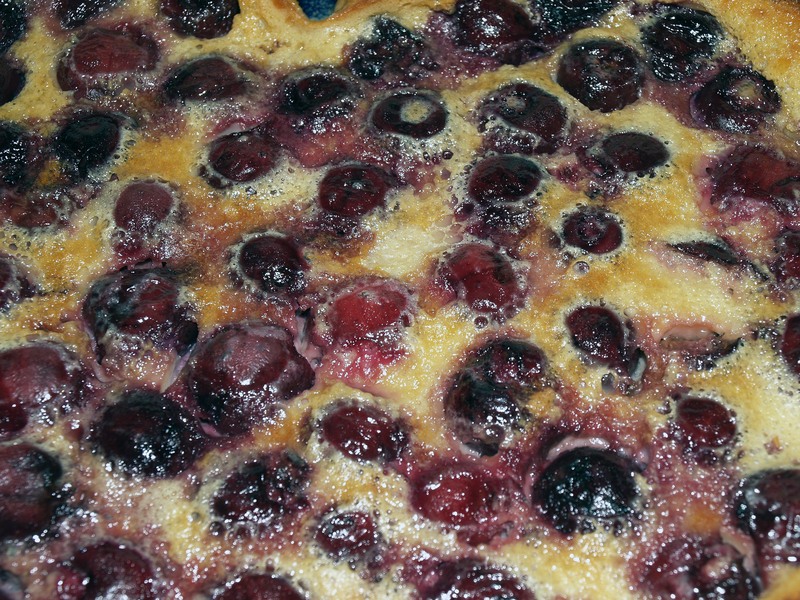 Clafoutis | I Wanna Bake! 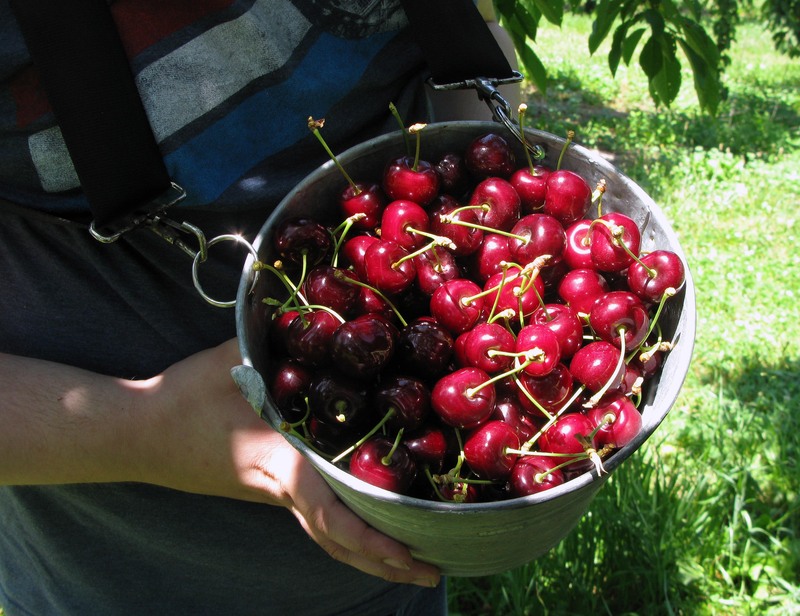 Last time we went cherry picking, I used most of the cherries that didn’t fall prey to my ravenous cherry eating habit in a delicious cherry pie, then froze the rest to make the same exact pie a few months later. I highly recommend giving it a try along with my sweet pie crust, as it is absolutely wonderful. This time, however, I wanted to try something new (don’t worry, there are still enough cherries left for pie, or ice cream, or anything else). 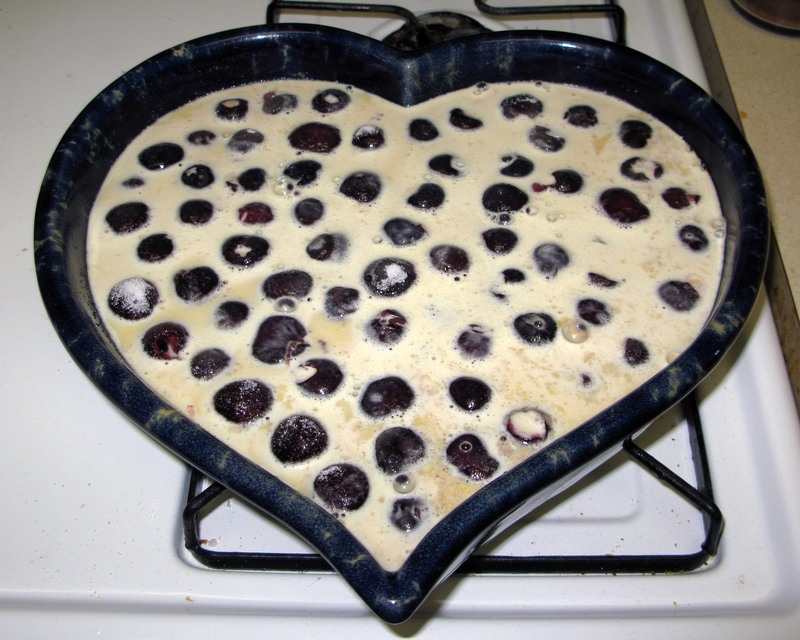 A quick Google search brought my attention to clafoutis, which is… a bit of an odd dessert (or breakfast), if I’m honest. 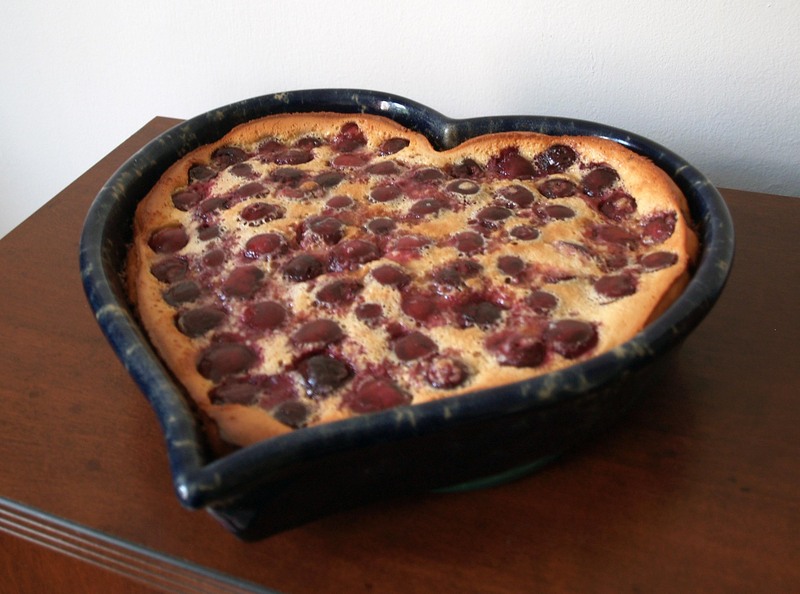 Most descriptions liken it to flan, but I think it’s much more like a giant, creamy pancake with whole cherries in it (a Dutch baby, perhaps). Try saying the word out loud (“cluh-FOO-tee”); once you taste it, you’ll realize how appropriate the sound of its name is. I followed a recipe which was attributed by several different sources to Julia Child. However, none of them had a citation, and I don’t have any of her cookbooks, so I can’t verify whether it’s actually hers or not. This recipe is only slightly more involved than others I found, requiring you to bake the clafoutis in two separate stages. Doing so allows a thin, brown crust to form on the bottom of the baking dish so that the cherries don’t stick or leak their juice out across the bottom. I was a little skeptical of this part at first, but I thought the result was pretty neat and clever. Traditionally, the cherries are left whole so that the pits can impart a hint of almond flavor to the batter. I doubted that much flavor was going to be able to make its way all the way through the cherries’ fruit and into the batter, so I pitted them (no broken teeth for my household). If you’d like some almond flavor, you could substitute a teaspoon of the vanilla extract with almond extract instead. Anyone who has experience with the almond flavoring imparted by cherry stones is welcome to set me straight! Head Over Heels by the Go-Go’s has been stuck in my head lately thanks to a car commercial (which must not have been very effective, because I can’t remember which car it’s for), so today’s musical recommendation is made possible by annoying car companies everywhere. In a pinch, the B-52s would be an acceptable substitute. 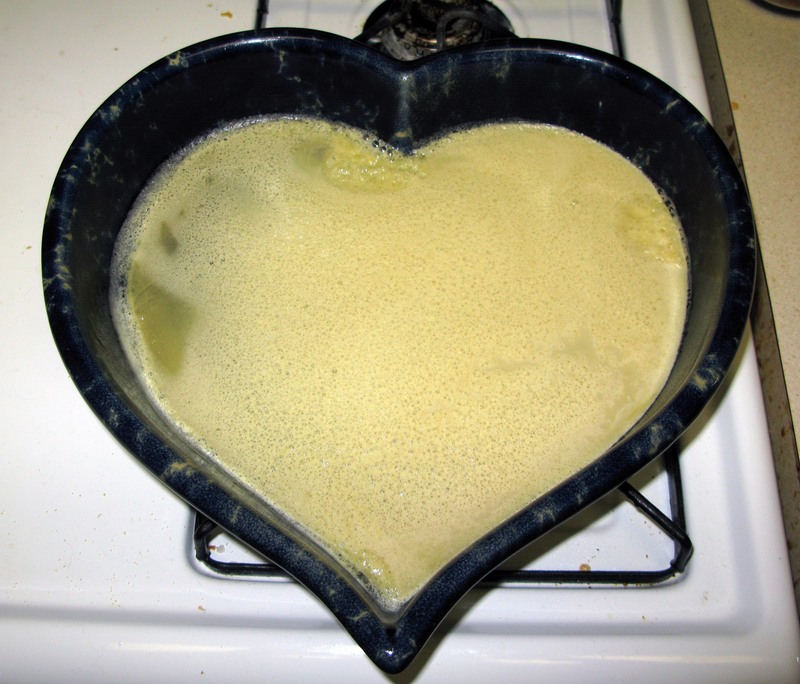 Preheat your oven to 350°F and liberally grease an 8-cup baking dish (I used this one). 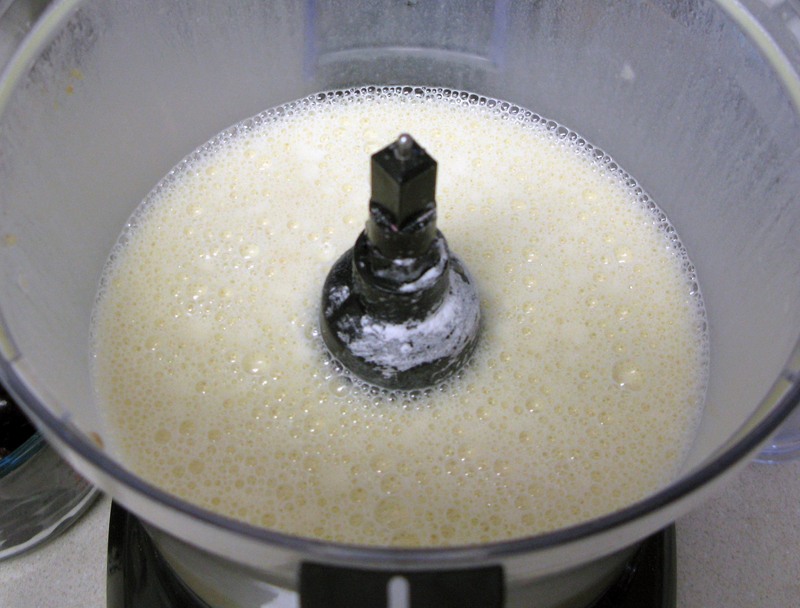 Combine the milk, eggs, vanilla, ⅓ cup of sugar, flour, and salt in a blender or food processor. Blend/process until the mixture is smooth. 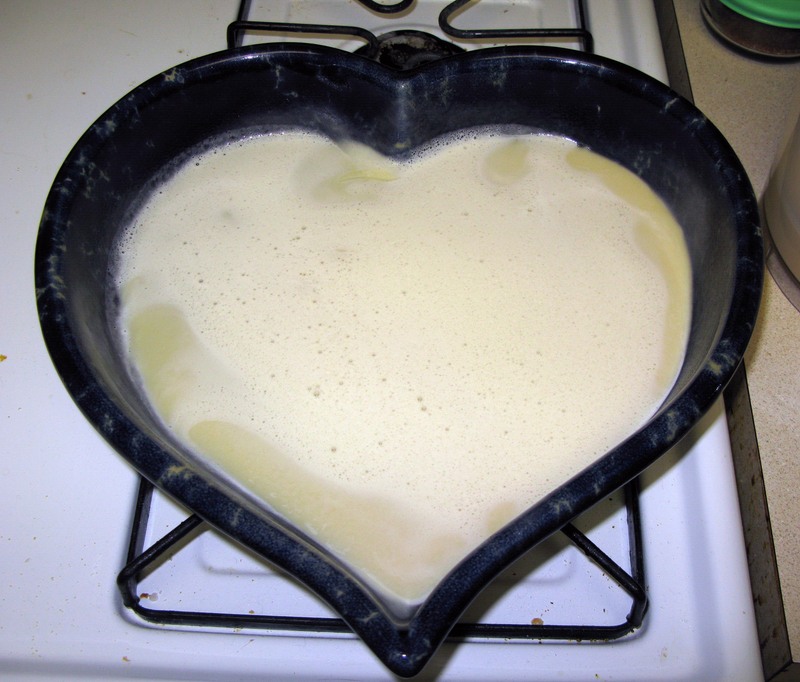 Pour a thin layer of batter that is about ¼” thick into the baking dish. You will probably have to rotate the dish to get the batter to cover the bottom entirely. Bake the layer of batter for 7-10 minutes, or until the top is just beginning to set. Again, think pancakes. Remove the dish from the oven and spread the pitted cherries on top of the baked layer. Sprinkle the remaining granulated sugar evenly across the top. Pour the remaining batter on top. It should fill in the holes on its own, but if you find any voids, you can gently tilt the baking dish to fill them. 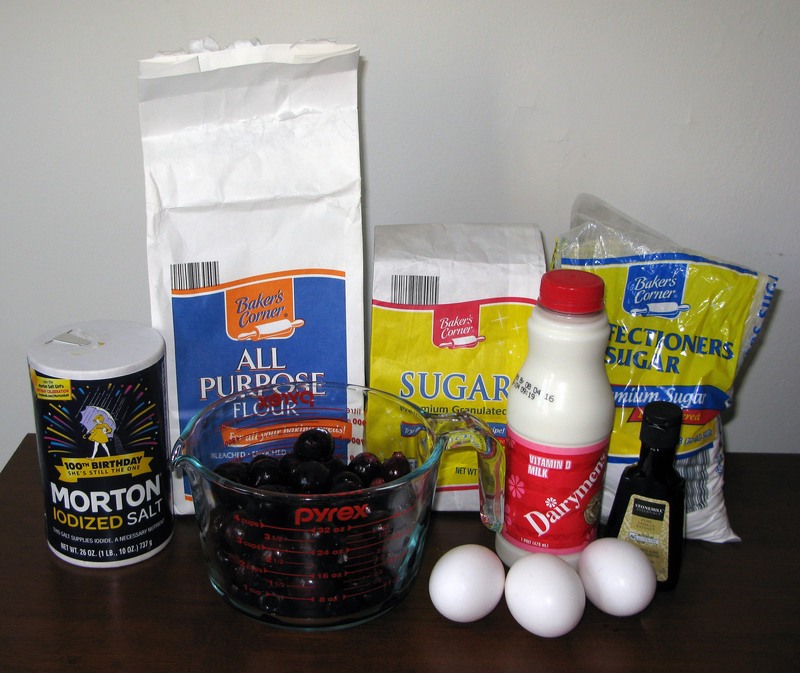 Bake the clafoutis for another 45-60 minutes, or until a knife inserted in the center comes out clean. This is a bit of a deceptive baked good, as the top doesn’t really look cooked all the way when it’s done. Rely on the knife test instead to make sure you don’t over-bake it. The top should be puffed and the edges browned (but be forewarned: the top will probably sink when you test it with the knife). 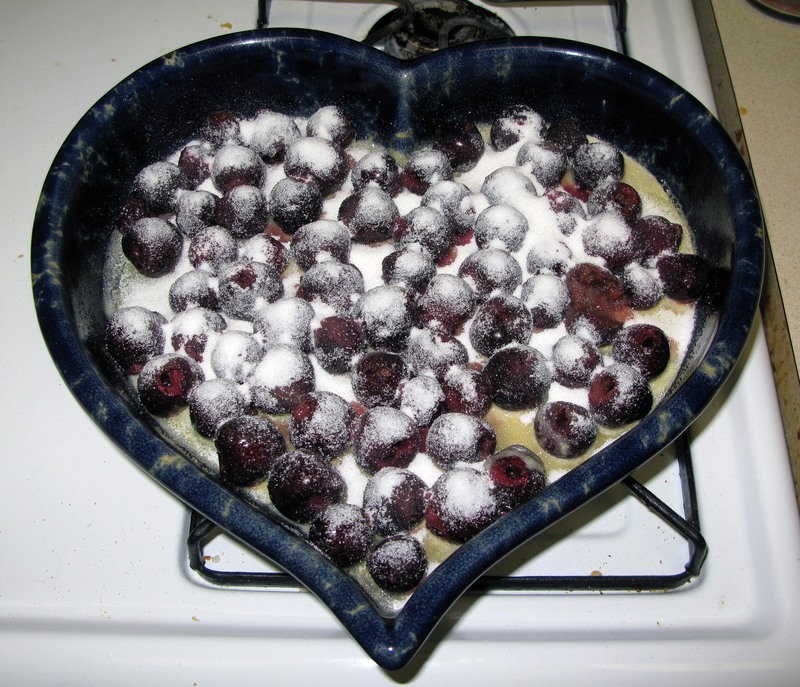 Leave the clafoutis to cool for at least 20 minutes, then sprinkle with powdered sugar, slice, and serve. Refrigerate any leftovers in an airtight container.